American Airlines × 30th Tokyo International Film Festival is running an online campaign. Join the 30th TIFF and win a chance to take a journey! Prizes include airline tickets and original goods. TIFF received messages from this year's and past participants around the world, sharing their fond memories of TIFF in honor of our 30th anniversary. 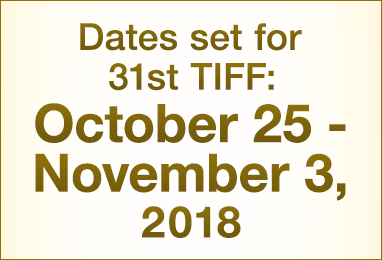 Tracing back the glorious history of TIFF since 1985. Sakura ANDO, Yu AOI, Hikari MITSUSHIMA and Aoi MIYAZAKI have been chosen as the Muses of Japanese Cinema in honor of the powerful sparks they generate on screen, their collaborations with renowned directors and their increasing international stature. Oct.25(Wed) Guide to the Opening Event – Red Carpet: Roppongi Hills Arena viewing area for general standing audiences. 10/27(Fri)19:00 – Seminar about digital restoration of classic film – Featuring “The Gate of Hell” – Hosted by IMAGICA Corp! Fifteen feature-length films completed after January 2017 are in the running for awards. The carefully selected entries provide a glimpse of the "The World at a Glance" and will be judged by a panel of internationally recognized filmmakers. Ten fresh films from the Middle East to East Asia, including Japan, are lined up again this year. Witness these vibrant films from Asia first-hand! This section supports films that are ready to make a splash on the global scene. Which films will be crowned this year? In this 30th anniversary year, we will screen an even wider selection of films than usual. Find your favorite among them! 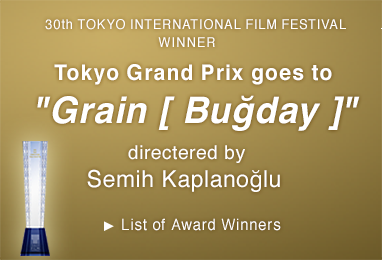 This section is dedicated to films without a general release in Japan, including award winners from leading international festivals and the latest works from renowned directors. These include fresh, new works by Asian directors, featuring themes and storylines from around the region. Beautifully restored Japanese classics will be screened at the striking Kabukiza Theater. The vivid restoration of these films emphasizes their power and beauty. This festival brings the world a cross-section of modern Japanese cinema. We spotlight on some of Japan's most captivating actresses and films featuring "the Muses of Japanese Cinema". Films selected with teens and children in mind provide younger viewers with a relatable perspective on the challenges facing them in the world. We will screen a selection of films from past festivals for free, from prize winners to hidden masterpieces.